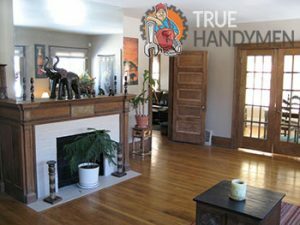 We would like you to know that you can count on True Handymen for anything. That is why we have tailored a very reliable and cost efficient home removal in all London postcodes service that would cover the requirements of your upcoming relocation fully, without any hassle or stress involved whatsoever. Home removals in any part of London are usually tough and time consuming. That would not be the case with us. We are going to oversee every step of the project that you entrust us with, from planning, to preparation to the actual execution of the task. There would be no delays and your project is going to be completed in a timely fashion, precisely on the schedule that you hope it to be done. Check out the outstanding customer reviews that we receive on a regular basis and you are going to see that as far as domestic removals go, we are indeed the best option that you have ahead of you. Contacting our around the clock customer support will further solidify the impression that we are the right choice. Furthermore you are going to get a free quote that will tell you that we work on very attractive rates that will not put strain on your budget throughout your household move.